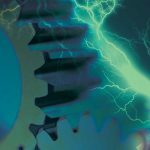 Specialized PVD coatings increase the surface hardness and durability of gears, thereby increasing their lifespan under high-load conditions. 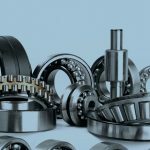 There are several carbon-based coatings available that provide a unique combination of extreme surface hardness, low friction coefficient and anti-corrosion properties from global coating provider Oerlikon Balzers. 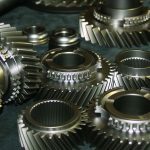 Although gears and other precision components are generally made of hardened steel or metal alloys, those used in high load applications still can fail due to excessive wear, surface fatigue, pitting, galling, and corrosion. This is exacerbated in applications with metal-to-metal interaction, repetitive friction at high speeds or where little to no lubrication is present. Other factors include the presence of contaminants, the prevailing service temperatures, the loads applied, and loading modes such as sliding, rolling, oscillating, and pulsating. 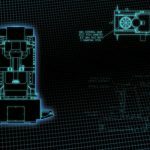 To address this problem, product engineers and component manufacturers often turn to specialized PVD (physical vapor deposition) coatings that can be applied in thicknesses of 0.5 to 4 micrometers to further harden the surface of these parts. By applying coatings optimized for these types of punishing environments, components benefit from increased surface hardness and a much lower coefficient of friction. 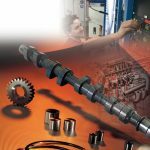 As a result, these critical parts do not have to be replaced as frequently, if at all, reducing maintenance and unplanned downtime while improving machinery performance. Today, these coated components are used for a variety of applications from performance automotive and racing to wind-turbine shaft bearings and planetary gears; stainless steel cutting blades and piston pumps for food processing; and sliding components in filling and bottling operations. The coatings are also a proven technique for upgrading critical rotating parts in hydraulic drives, pumps, and valves. Many components are not coated at all. Instead, these parts are often made of heat-treated, nitrided, or case-hardened steels, along with durable high performance materials such as titanium or nickel based alloys. 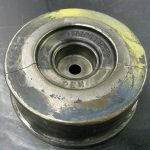 Even those used in high-load, high-wear applications are subject to wear and premature failure under poor lubrication. Some industries allow no lubrication at all, such as cryogenic and vacuum systems, clean rooms, food, and pharmaceutical equipment. 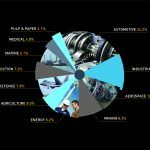 When this is the case, engineers often turn to a variety of coating, plating, or nitriding options to modify the surface to improve wear and corrosion resistance. 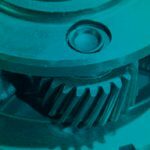 Today, these coated components are used for a variety of applications from performance automotive and racing to wind turbine shaft bearings and planetary gears. Examples include coating the parts with black oxide. Black oxide is a coating produced by a chemical reaction between the iron on the surface of a ferrous metal and oxidizing salts. After a post-treatment with oil, the surface provides protection against corrosion, improved lubricity and prevents galling during metal-to-metal interactions. However, black oxide is not durable and can be worn away quickly in repetitive, high load applications. 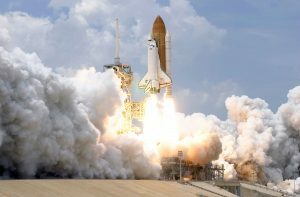 PTFE, another popular coating alternative, is known for its low coefficient of friction but is not recommended for high load applications where it, too, can wear away. Hard chrome and chemical nickel plating are often specified as well to provide protection against wear and corrosion. Although hard chrome is suitable for components that experience abrasive wear, microcracking inherent to the process limits its use against corrosion. Although this can be addressed with thin coatings that increase surface hardness, these solutions only offer limited wear resistance. Chemical nickel can be applied over a range of hardnesses. However, the maximum is only 600 HV (Vickers Pyramid Number). Concerns over polluting compounds, emissions, or residues are also associated with these plating techniques. Physical vapor deposition (PVD) describes a variety of vacuum deposition methods that can be used to produce thin coatings. PVD is typically used to coat components at relatively low coating temperatures of 200° to 500° C. These temperatures are ideal because they are below the tempering temperature of steels so as to avoid altering the fundamental material properties. 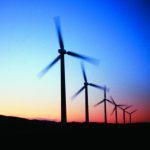 Fortunately there are several carbon-based coatings available that provide a unique combination of extreme surface hardness, low-friction coefficient, and anti-corrosion properties such as those provided by global coating provider Oerlikon Balzers. According to Manfred Berger, market segment manager of General Engineering Components for Oerlikon Balzers, the company’s Balinit C coating is a WC/C ductile carbide carbon coating that is highly resistant to adhesive wear (scuffing) in particular. It has a high load-bearing capacity even under conditions of deficient lubrication or dry contact. Due to its low friction coefficient, it acts to reduce pitting and fretting corrosion. Another example is the Balinit DLC coating, a metal-free, carbon-based coating that is even more durable. Applied through plasma-assisted chemical vapor deposition (PACVD), this coating is designed for more severe wear conditions and high relative sliding speeds to protect against abrasion, scuffing, and cold welding. 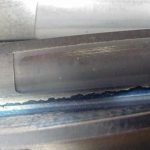 These and other coatings within the Balinit family tailored to specific requirements can be applied to a variety of case-hardened or tempered steels, austenitic stainless steel as well as nickel, titanium, copper, magnesium, and aluminum alloys. “These materials provide an excellent combination of low coefficient of friction like PTFE, but with the hardness of a ceramic,” Berger said. The coatings also have the advantage of being thin, typically 0.5 to 4 μm. This feature, in conjunction with close tolerancing, means the component retains its form, fit, and dimensions after coating without the need for re-machining. Gears experience wear conditions. 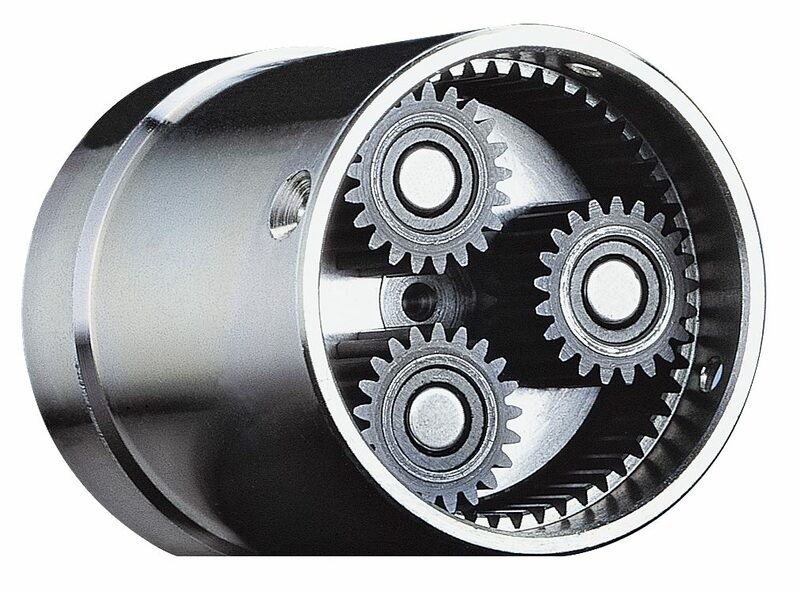 The PVD coating significantly reduces scuffing and pitting in gears. 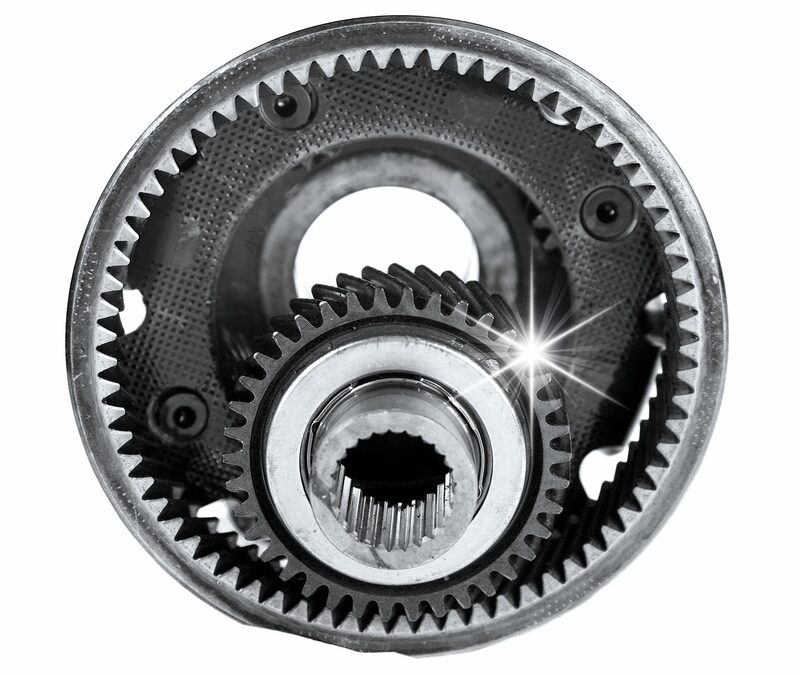 In fact, Balinit C has been shown to quadruple the service life of high-speed gears. The standard FZG C test shows that the fatigue strength is increased by 10-15 percent over case-hardened but uncoated gears. 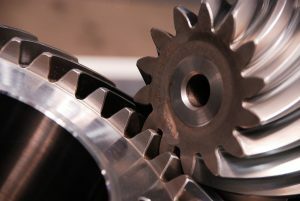 In the test, the failure criterion for gear-service life was defined as single-tooth wear of 4 percent due to pitting. The main factors in these improved figures were the lower local surface pressure (Hertzian pressure), which resulted from reduced friction in the rolling contact, and the superior running-in behavior of Balinit C.
Coatings can also benefit worm gears, where lubrication is not always enough to protect helical-gear transmissions against friction and wear. 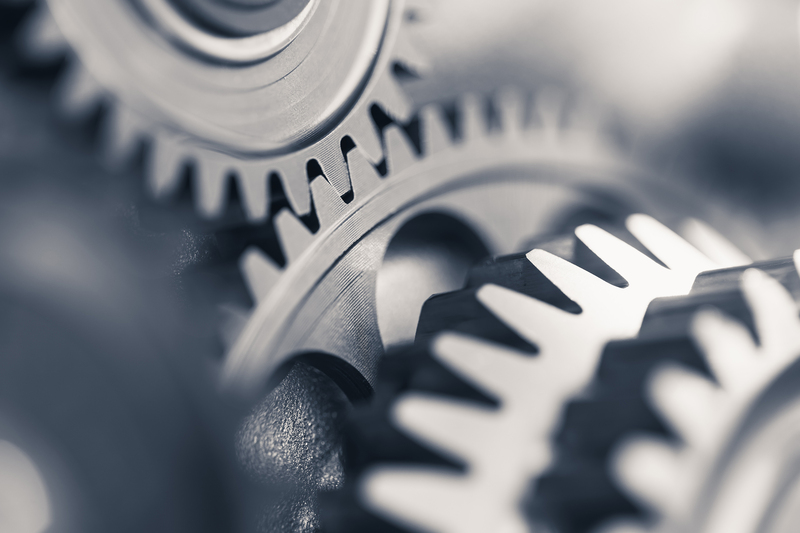 The sliding motion and the force between the worm and gear faces make it difficult for a lubricant film to form. For this reason, the gear is most often made of bronze in order to avoid scuffing. 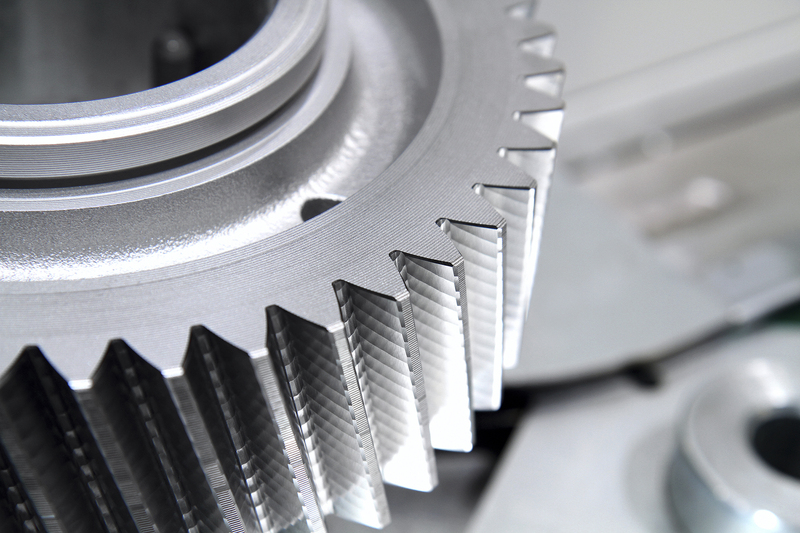 Balinit C has been shown to quadruple the service life of high-speed gears. 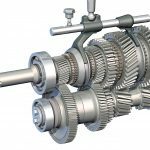 In service, however, the teeth of the bronze gear wear away quickly, and the gear must be realigned or replaced. 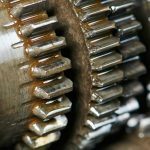 Coating the steel worm with a carbon-based coating can improve reliability and performance by reducing wear on both the worm and the bronze gear. In addition to designing and manufacturing PVD coating equipment, Oerlikon Balzers offers coating services at more than 140 coating centers worldwide, including 16 locations throughout the United States. According to Florian Rovere, director of sales for Precision Components in North America, the company has the research and development capabilities to tailor coating solutions to meet unique requirements. In addition to coating thickness and hardness, properties such as structure, chemical and temperature resistance, and adhesion can be precisely controlled. In most cases, no alteration of the formula for the coatings is required, as it is already optimized for high load, high friction environments. 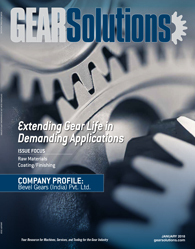 Next articleBevel Gears (India) Pvt. 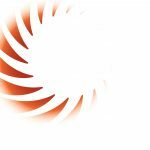 Ltd.
is a technical writer based in Torrance, California. 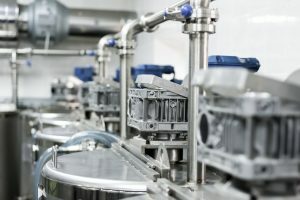 For more information about coating solutions for components go to www.oerlikon.com/balzers.